Mike: I remember a while ago some people I knew were bragging how skilled they were in sneaking clean urine for a drug test. So when it came time for me to have to give a drug test I was a bit nervous since I hold my bodily functions under the highest level of secrecy. But the tester handed me a cup and pointed me to a bathroom. It is literally the easiest test to cheat at. 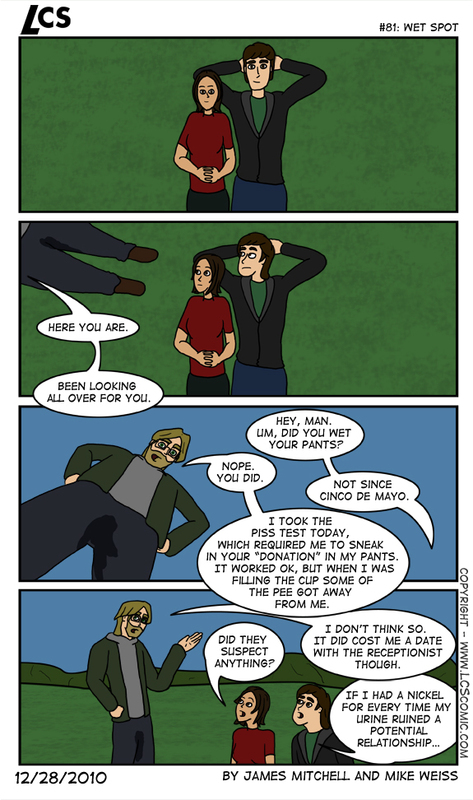 James: The piss test is easy. The hair test is nigh impossible to cheat.